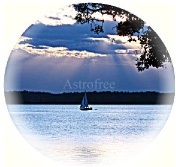 In astrology, we are all unique, hence personal daily horoscope predictions is only for you and not simply for your zodiac sign/sun sign. Calculate and read your personal daily horoscope for today based on your birthdate. Come back anytime to check your daily personal horoscope! With the help of a table that includes all the aspects and an astrology point system, you get a good idea how your day will be. Your personal daily predictions and the astrology charts are based on your birthdate, natal horoscope. Copyright©2000-2016 Astrofree. All Rights Reserved.